Feyenoord vs VVV-Venlo Prediction. Stadion Feijenoord will be hosting the Netherlands Eredivisie 2018/2019 match between Feyenoord and Venlo. Feyenoord have played 13 matches in the > Netherlands > Eredivisie 2018/2019. Competition resulting to 9 wins 2 draws and 2 losses. They have played 7 matches at home in this competition and the matches ended in 7 wins 0 draws and 0 losses. Their form in their last 5 matches played across all competitions has been 4 wins 0 draws and a single loss:- (WWWWL). Their last match played in 2-1 win to PSV at home. So far in this competition they have scored 25 goals (for) and conceded 14 goals (against) with a positive goal difference of +11. VVV Venlo have played have played 13 matches in the > Netherlands > Eredivisie 2018/2019 . They have won 5 times, drawn 4 time and lost 4 game in those 13 matches played. They have won 2 times, drawn 2 times and lost 3 times in their overall 7 away games played in this competition. Their last game played ended in a 4-1 loss, away from home vs Heracles. So far in this season in this competition they have scored 17 goals for (GF), conceded 18 goals against (GA) and have remained with a goal difference (GD) of -1 goal. Both teams have met 15 times and drew 4 times while Feyenoord wins 4 times and VVV wins 4 times. Their last 5 matches played Feyenoord has won 1 game and both have draw 2 games while VVV won 2 games. The most recent match between the two sides was played on 04/02/2018 in the Eredivisie 2017/2018 competition and the result was:- VVV 1 – 0 Feyenoord. FEYENOORD PREDICTED LINE UP: GOALKEEPER:- Justin Bijlow DEFENCE:-Jan-Arie van der Heijden, Sven van Beek, Jeremiah St. Juste, Tyrell Malacia MIDFIELDERS:- Jens Toornstra, Jordy Clasie, Tonny Vilhena, Nicolai Jørgensen FORWADS:-Steven Berghuis, Robin Van Persie. WHO TO WATCH: Former Arsenal and Manchester United Striker Robin Van Persie will likely earn another start here with him being the leading goal scorer for Feyenoord this season with 6 goals. WHO TO WATCH: P. Mlapa has started strong for VVV this season with 5 goals in 12 games and 1 assist too. De Club aan de Maas did what all ave failed to this season when they PSV 2-1 on the home patch and end their 13 match unbeaten run in this division and that alone is a source of motivation while playing at home. Despite being the away side, VVV are unbeaten in past three H2H match ups with the Der Club aan de Maas, though (2 wins and 1 draw). We foresee a one way traffic here and all leading to th e hosts victory as VVV Venlo come from a demeaning 4-1 defeat to Heracles so they will be suffering from low morale. 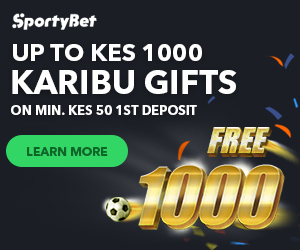 THe hosts have been the boss in clashes played between the two sides at home with six wins, one draw and one defeat in eight matches in Rotterdam and that record will be added here without no doubt at all. Our Prediction:- A Home win for Feyenoord.